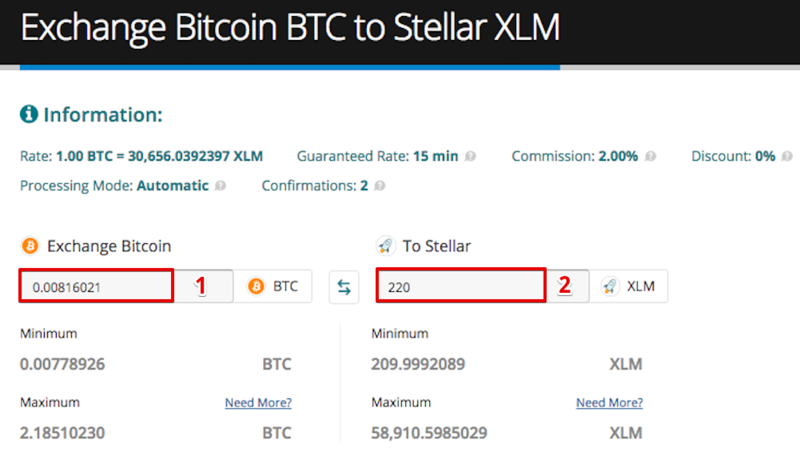 This manual will help you to buy Stellar (XLM) with Bitcoin, Ethereum, XRP, Litecoin, Dash, Zcash and other cryptocurrencies. You can use one of the guide methods (Method 1 or Method 2) and then follow the selected guide method steps. a) This is a “pure” exchange rate without any service fees or third party fees. 4. a) Enter your e-mail address (1) (if you’d like to get an e-mail when your exchange order finishes or leave it blank, e-mail field is completely optional). 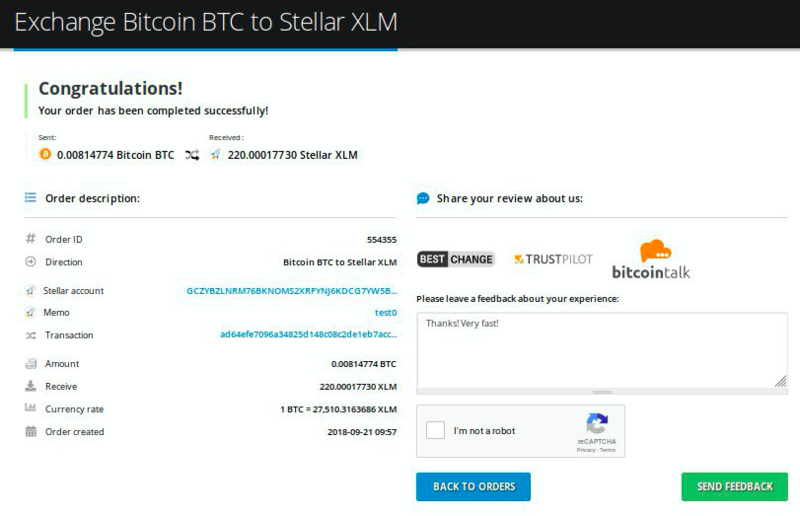 b) Enter your Stellar wallet address (2). If you’re logged in you can save this wallet’s address for the future re-use. c) Enter Memo. A Memo is intended for delimiting incoming payments to the same address. 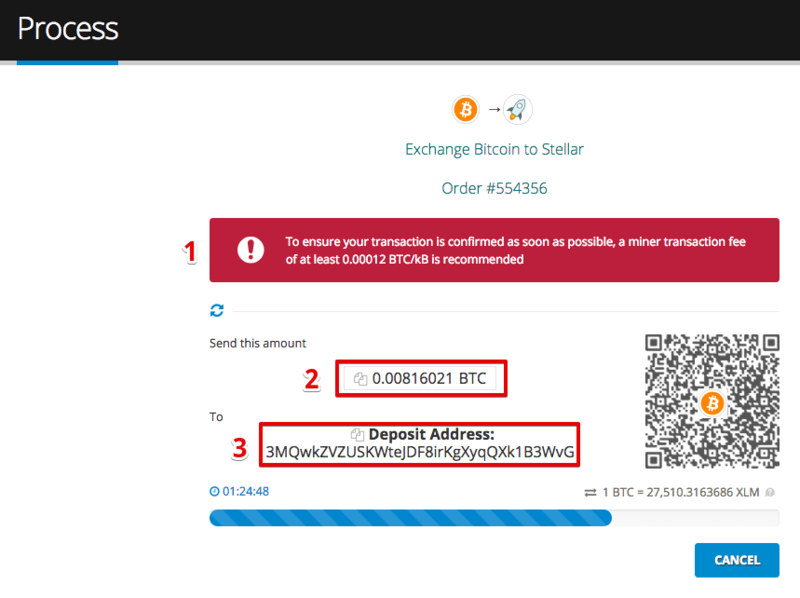 It is only required if your wallet requires Memo, you may loose your coins if missed. d) If you have a standalone wallet (e.g. 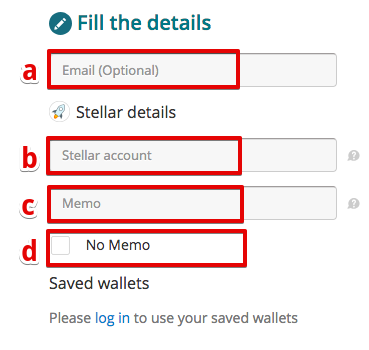 Stellar Desktop Wallet), you can click on ‘No Memo’. 7. 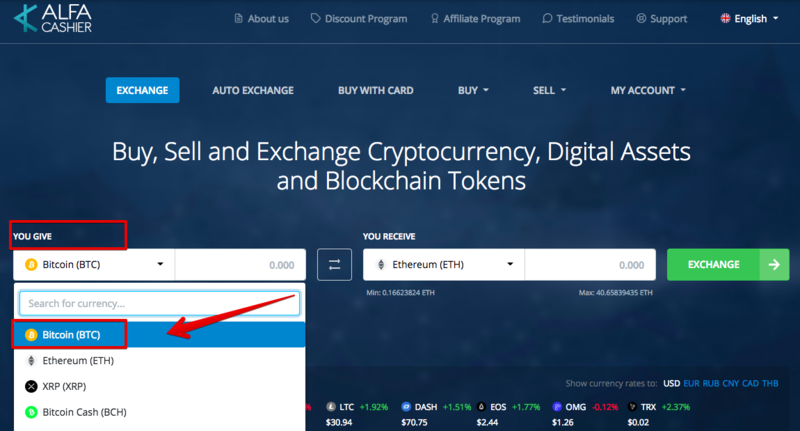 Once we receive unconfirmed transaction from you - this page will be automatically updated. Then, the system waits when your transactions gets required amount of confirmations. Once your transaction gets 2 confirmations your order will be completed automatically. 8. Congratulations! Your order has been completed. In the left block you can see the same information as in Method 1 (point 2) regarding guaranteed rate, processing mode, required amount of confirmations, system fee and discount. 3. a) Enter your e-mail address (1) (if you’d like to get an e-mail when your exchange order finishes or leave it blank, e-mail field is completely optional). 6. After we receive unconfirmed bitcoin transaction from you - the system waits when your transaction gets required amount of confirmations. 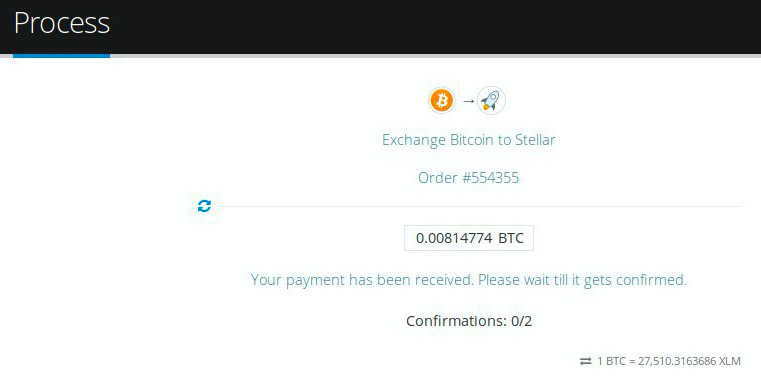 Once your transaction gets required amount of confirmations (2 for bitcoin) your order will be completed automatically. 7. Congratulations! Your order has been completed. For your convenience, a message with detailed information of the order will be e-mailed to you. After successful payment, you can leave a feedback. Your opinion is very important for us!